Using data from Gaia astrometry satellite, astronomers at Heidelberg University investigated the movement of millions of stars in the Milky Way galaxy. For the first time, they were able to predict the approach of two stars with extreme precision and to forecast characteristic effects of relativistic light deflection that can be used to precisely measure the mass of stars. The findings were published in the journal “Astronomy & Astrophysics Letters”. “The stars in the Milky Way don’t stand still, but move relative to one another like gnats in a swarm. As seen from Earth, a foreground star occasionally passes close to a background star. Light travelling towards us from the background star is shifted ever so slightly by the gravitational field of the foreground star as it passes,” explains Prof. Dr Joachim Wambsganß, Director at the Institute of Astronomical Computing at Heidelberg University's Centre for Astronomy (ZAH). This “astrometrical gravitational lensing” changes the position of the background star in the heavens by a very small but still measurable amount. This shift plus the relative position of the two approaching stars can be used to derive the mass of the foreground star. “This method of measuring mass is precise to within a few percentage points. Until now, however, it has been very difficult to predict when and which star pairs would pass close enough to one another to support such measurements, because the stars' precise ‘proper’ motion in the sky must be known,” emphasises Prof. Wambsganß. 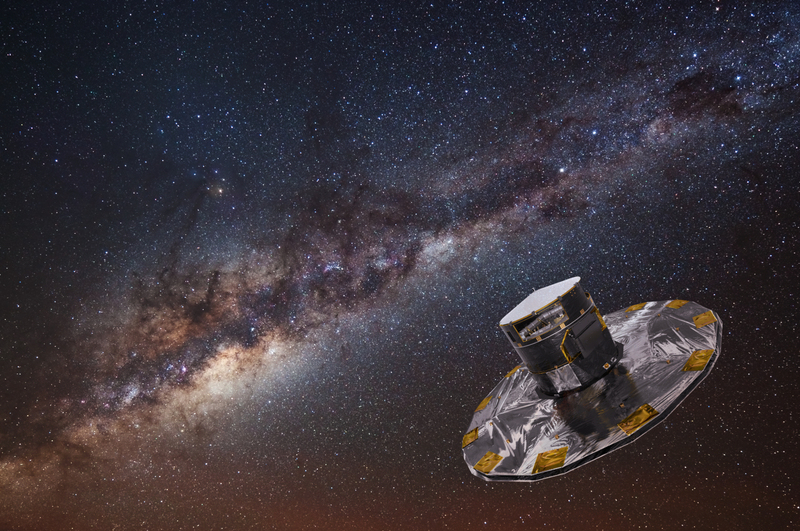 The Gaia astrometry satellite has been measuring the position and the proper motion of approximately 1.5 billion stars for about four years, and its recently released data are of sufficient precision. The extensive dataset was published in April of this year.